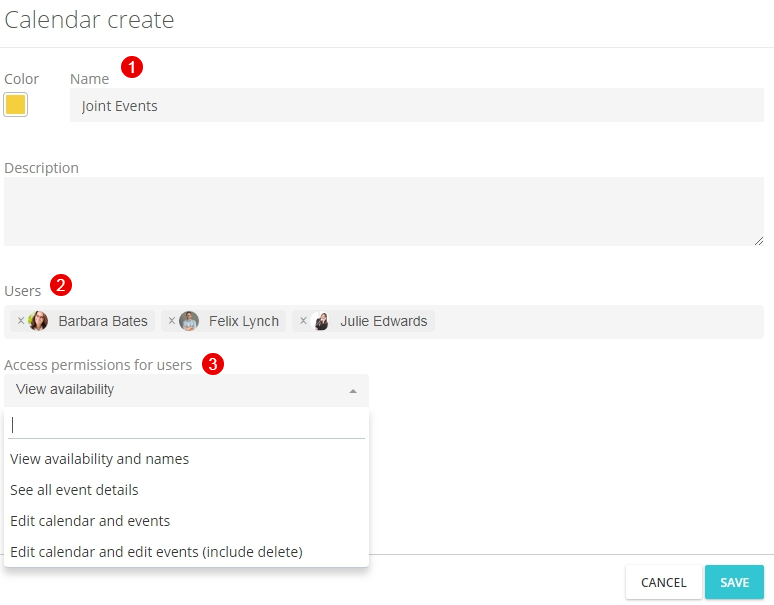 In your personal calendar, by default, you can see the events that you create for accounts, transactions, projects and joint events. Here, you can also create any other activities, without reference to anything. 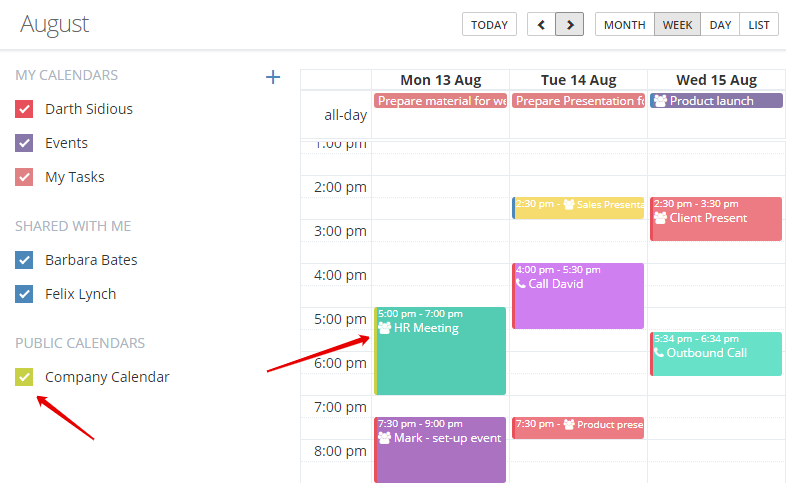 When you have many different events, creating them in the same calendar can be inconvenient. For example, you may need a public calendar, where your colleagues can see your schedule, and a personal calendar that no one can access. 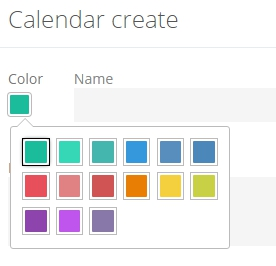 In the opened sidebar, select the color of the calendar, which will be displayed in the event boxes of this calendar as a colored bar on the left. 4. Click Save or Enter. The calendar is created. 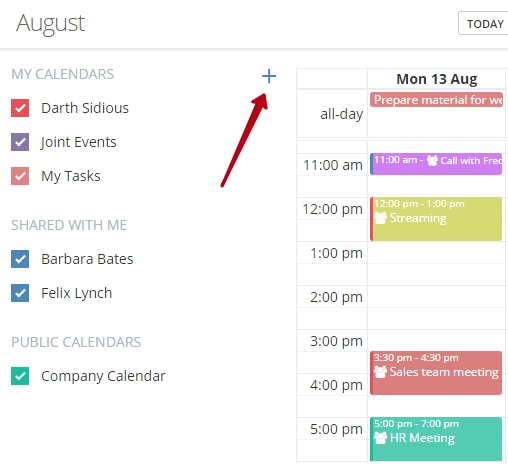 All users will be automatically notified about receiving the access to your new calendar. 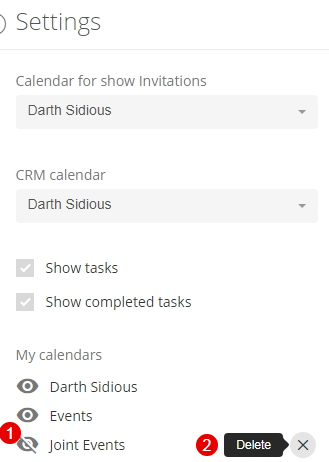 Employees will see this calendar in the column Shared with me under the name that you have specified. For you, this calendar will be displayed in the section Мy calendars. For each employee, you can change the access level at any time. 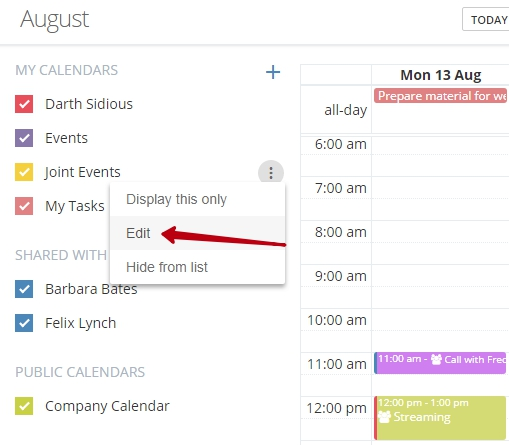 To do this, click on the 3 vertical dots next to the calendar name and select "Edit". After the access is changed, the employee will also receive a notification. 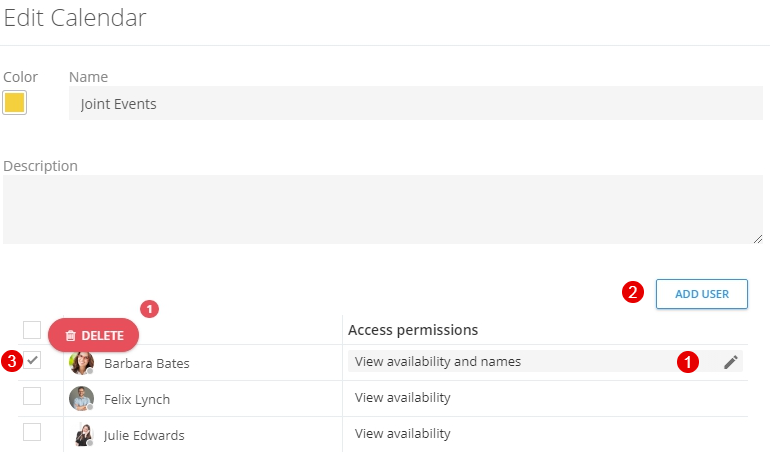 In the opened window, assign an access level for each user (1), add new ones (2), or delete unnecessary ones (3). 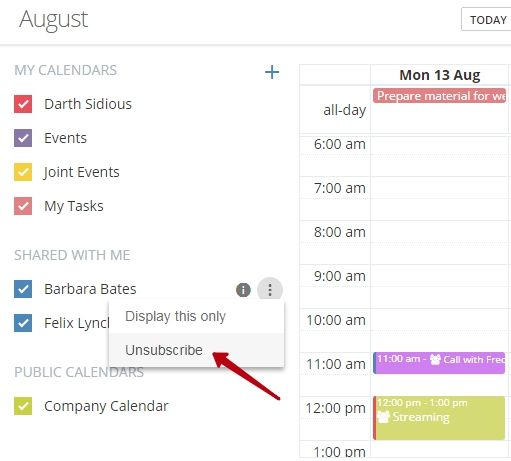 You can hide the calendars you have created or unsubscribe from the calendars you were added to. To do this, click on the button with 3 vertical dots next to the name and unsubscribe. You can not hide the company calendar and personal calendar. At any time you can subscribe back to the calendar. To do this, go to the settings. Here you can also delete a calendar permanently.